I believe many people in the US are afraid of French wine! I feel this fear is the product of three factors, the inability to pronounce the wine’s name easily, the inability to identify the grapes readily, and the inability to be comfortable with the previous two factors given lofty prices of some French wines. Of course, the first factor, the language, is the most difficult to get over. I’ll give you that one. The second factor is changing, and you’ll see that on at least one of the three wines below, the grape varieties are right on the front of the bottle. The last fear factor of price for French wine given the uncertainty of what’s in the bottle can be overcome by learning that nice French wine can be had for $12. When I was asked to participate in a recent virtual wine tasting on Twitter by the team at Planet Bordeaux, a group charged with educating consumers about wines from Bordeaux, I was of course interested. I’ve been doing these virtual wine tastings since 2008, and think they’re a great opportunity. It gives me the chance to try wines, and share the results with you. This increases both of our exposure to wines that perhaps we otherwise would not have tried. 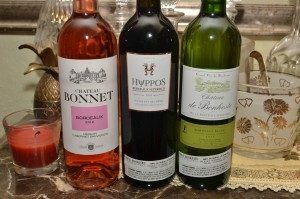 I knew this event, tasting three wines from Bordeaux, France under $20, would be a hit. 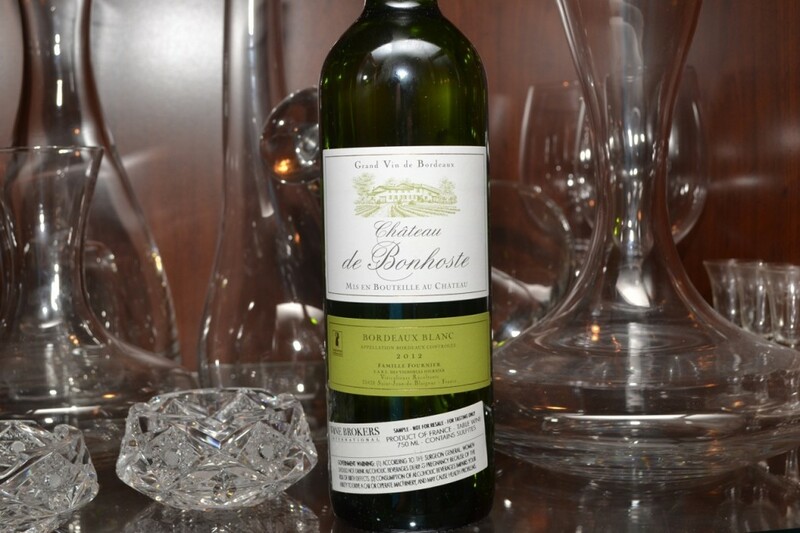 The first wine of the evening was a crisp white wine from Chateau de Bonhoste, the 2012 Bordeaux Blanc with a suggested retail price (SRP) of only $12. A blend of three grapes, 60% Sauvignon Blanc, 30% Semillon and 10% Muscadelle, the wine is pale straw in color. It’s bouquet is a soft, pink grapefruit, light floral scents, and a touch of honey. The palate is light, crisp and refreshing. There is nice fruit on the approach, a blend of tree fruit, stone fruit and a good bit of grapefruit that comes and wraps itself around the other fruits quickly. The wine has nice acidity, firm and zippy. This is a pleasant, inexpensive white wine, especially if you like citrus and acidity. There is a little hint of spice that seems to come on the finish, rounding out a very nice palate. For $12, it’s definitely worth trying this value focused white wine from Bordeaux. For the record, you pronounce the name Chateau de Bone-oste. The second wine of the evening was a rosé from Chateau Bonnet (Shah-toe Bone-nay) Bordeaux 2012. 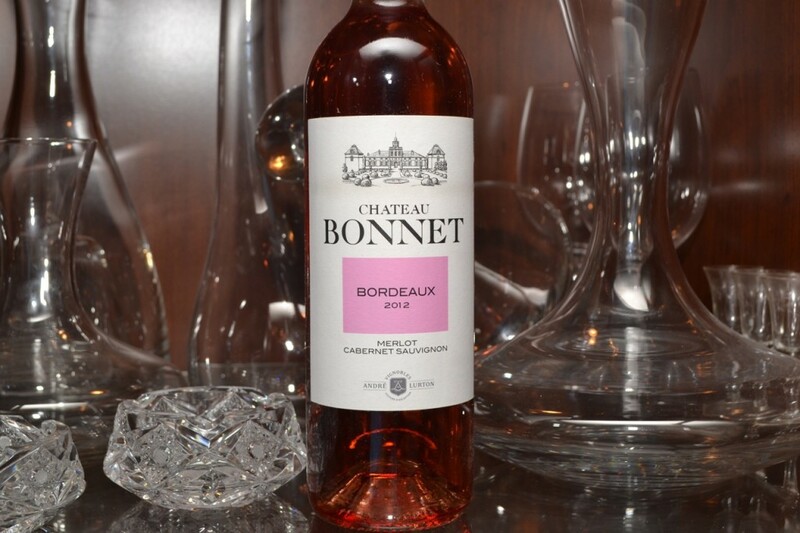 The wines of Chateau Bonnet are made by Vignobles Andre Lurton, where vines were first planted in 1744. Made with merlot and cabernet sauvignon, two of the most prominent grapes of Bordeaux, France, this simple rosé wine cost only $15. With a dark, rich pink color in the glass, the bouquet is soft strawberry with a spicy floral floating on top. The palate is light and very soft, this is a very relaxed, laid back wine. The fruit isn’t explosive, it’s subdued strawberry and a tiny bit of dried cranberry. The wine was a tad soft and subtle, but did show a bit more power as it opened. The third wine in this tasting was the Chateau Majoureau (mah-zhohr-oh) “Hyppos” Bordeaux Superieur 2009. A big, bold Bordeaux red wine with 55% merlot and 45% cabernet sauvignon, we decanted the Hyppos for over an hour, and sampled it every thirty minutes for over three hours. There were scents of dark black fruits on the nose, as well as a cedar box component and mixed spice scents. The palate is a lot like the nose – the cedar box and spice is powerful up front, the fruit is really hidden behind the rest of the tastes. 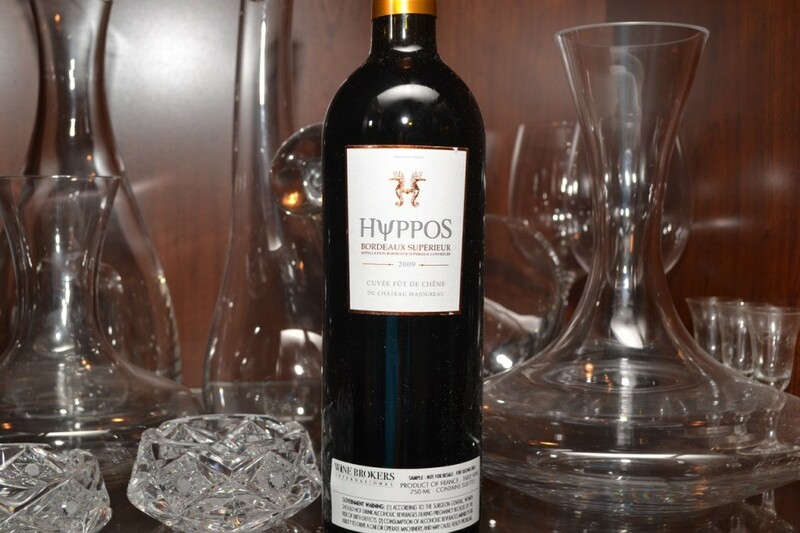 Not a “sipping wine”, we paired this with a pot roast, and with the food there is a little more harmony to the Hyppos. However, ultimately, this wine was a bit big, with a zealous amount of oak showing, and it really didn’t have the finesse I was hoping to find. This is a $20 Bordeaux red wine that will appeal to those who really enjoy the nuances that bold oak gives to red wine. Let’s get back to those three factors that I believe cause Americans to shy away from French wine: language, unable to discern the grapes in the bottle, and price. Again, there isn’t much I can do about the language. As a matter of fact, I had to reach out to the PR firm who supplied these wines as samples, to ensure I was pronouncing them right. I wasn’t, for the record. It’s a matter of learning a different language, to whatever extent you are comfortable with. However, the second item, the grapes in the bottle, that’s changing. It used to be the case that unless you studied the wine regions of France, you had no idea what grapes made the wines. If you didn’t learn that Burgundy reds are largely pinot noir, and Bordeaux left bank is predominantly cabernet sauvignon while right bank is predominantly merlot, you had no idea what you were drinking. That, of course, could cause someone very particular about what they’re drinking to steer clear of these enigmas. However, recent changes in french wine labeling laws are allowing the grape variety to be printed on the label. While you probably won’t see them on all of the wines of France any time soon, you’ll definitely see them more often. And, if you’re ever wondering what grapes are in a bottle, feel free to ask me! I’ll do my best to answer right way! The last factor, the price of French wines being prohibitive, is likely no longer a concern. 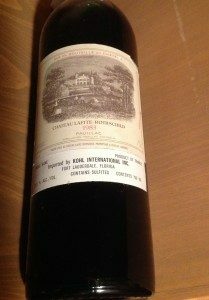 Sure, you’ve heard of Chateau Lafite-Rothschild going for hundreds, if not thousands of dollars. And I’m sure you’ve walked into a store and seen the bottle of Petrus for $2,500 and more. However, you’ve now seen how French wine can be found under $20. There is a wide array of wines coming from France, and they span the price spectrum. And I hope we can explore that wide world of wine together! Let me know the last French wine you had by leaving a comment below, as I’m very curious about your experiences!